Chuck Martin has worked in radio and television news for over thirty years. Before joining the TSN team in 1998, Chuck served as News Director of KARN-AM and the Arkansas Radio Network in Little Rock; where he won numerous awards for his anchoring and reporting, including best newscast two consecutive years from the Associated Press. Prior to that, this native Arkansan was the news director for KFAY in Fayetteville. He also spent eight years as a television anchor and reporter in Northwest Arkansas, where he spearheaded coverage of President Clinton’s first inauguration. 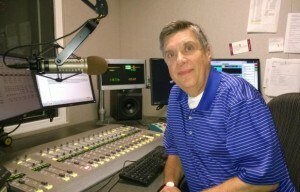 Chuck studied political science and philosophy at the University of Arkansas and started his broadcasting career at the campus radio station. He and his wife, Lisa, live in Arlington with their two children.